Christmas came early for the Park Wood Residents Association when they were awarded £1,100 KCC community grant at the Maidstone South East You Decide Event. The community of Maidstone South East got together to vote on which projects they felt should receive funding from Gary Cooke’s member community grant at the You Decide event held at Heather House Parkwood. “This will make such a difference to the children and families of Parkwood and we can’t wait to start planning and buying presents for the children!’. 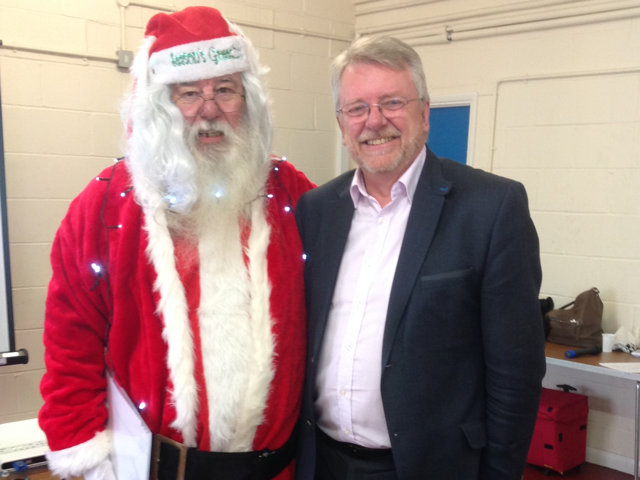 The Residents Association, complete with Santa, came along and asked for funding towards providing a tour of Santa on his sleigh for up to 1,000 children from the Parkwood area who would also receive a small gift. The community decided this was a worthy project and voted that it should receive funding. Phil, chair of the Residents Association, was delighted to be awarded the full £1100 grant.